Do you work for Adobe Acrobat DC? Learning about Adobe Acrobat DC? We can help. "Como gestor de documentos PDF no tiene rival"
La suite de Adobe es la más conocida por su calidad. Lo que más me gusta es que no se limita al visionado de documentos como puede ocurrir con un navegador, sino que te permite integrar cosas importantes como firmas digitales y editar documentos de forma segura de forma telemática. Facilita mucho las cosas al ahorrarnos muchas firmas y consentimientos sobre documentos que de otra manera serían presenciales. Lo que menos me gusta es que no permita abrir absolutamente todos los formatos de documento, ya que me facilitaría mucho la vida no tener que depender de otros programas según el formato. También puedo criticar que en su última versión hubo algún cambio confuso en la interfaz que no acabó de gustarme, pero no es demasiado grave. Recomiendo explorar todas las posibilidades que ofrece la Suite de Adobe, que son más de las que podrían parecer a primera vista. Te puede ahorrar mucho tiempo y dolores de cabeza. Lo uso en oficina para firmar documentos de forma perfectamente legal de forma rápida y segura, además de para enviar y recibir los archivos sin molestarme en adjuntar desde un gestor de correo, simplemente desde el mismo programa. Aparte de eso, que es el uso más específico que le doy, lo utilizo para visionar todos los documentos PDF de nuestra asociación. "Working as a professional? Acrobat is a must have tool. " Very simple, flexible and easy to use. I can create documents and work in PDF files like a dream. It's easy to add signature to documents on mobile devices or desktop computers. It's great for simple design and maintaining of documents. There is a lot of nice integrations to other programs and it's working perfectly fine with Office products. It's a pretty expensive tool and I mainly use it for PDF's. So for the purpose it can be quite hard to justify the price. It tends to hang when I'm working in bigger documents. Updates arrives every now and then - it would be nice if was more automated. The price tag is quite high but the security it adds to the organization is good. So you need to consider if you trust the end users as we have had some weird cases here. We needed a piece of software that could handle pdf documents, signatures etc. We can easily merge documents as well which save a lot of time. It's nice to be able to work on pictures and integrate them. Converting files have been made easier as well and have in general saved us a lot of time and also made everything more secure due to people using tools in their browser. "This program is an excellent viewer for PDF documents"
I do not like that its free version is so poor. There are companies that offer more in their free versions. I think that this company could offer a free version, where PDF documents can be transformed, at least for 30 days. There are other programs that allow you to save, for free, PDF documents. Why Adobe Acrobar Reader DC will not let you? When you are working for a company, you should always have a good image. At all times we must look as professional as possible. Having contact with your customers through this format, gives you that professional image you need in your business. "Read, edit and transform pdf documents easily and quickly"
It has excellent characteristics for the manipulation of pdf documents, it has a very good search engine, I can also highlight text and it allows me to add digital signatures and stamps, as far as its interface is very comfortable and it has everything necessary in sight. I can say that it is a rather heavy software and that all its functions can only be used has access to a Premium account, otherwise it is only useful to read pdf files, in addition I have sometimes noticed a certain slowness when opening several files at the same time. Before using this software keep in mind that you will have to obtain a Premium account to be able to use all its functions and features, apart from that there is no doubt that it will be a very useful software for your work. In my work, this software is very helpful because it allows me to transform common text documents to PDF in order to add more security and that can not be edited with ease. 1) Adobe Acrobat DC is very easy to use to edit already created PDF documents. I work with multiple agreement documents in our organization, and with Adobe Acrobat DC, I can modify the individual agreement forms to personalize to each document. 2) User-friendly interface doesn't necessitate a lot of staff training prior to using the software for the first time. 3) Combine PDFs. We receive many Word documents that must be combined into a single PDF. Adobe Acrobat DC has a great drag and drop feature so we can see a preview of the pages we are combining and moving in order. 4) Simplicity for basic tasks with a PDF, although then the thing gets a bit complicated. It has quite a lot of options. 5) This tool can be presented in the main operating systems such as Linux, OS X Mac, Unix, Windows without modifying the appearance or structure of the original document and not losing the format with sending to other users. 1) Sometimes it is a bit difficult to work with text in PDF files because it is perceived as images, but otherwise it seems an excellent tool. 2) Some of Adobe Acrobat's features do not work on scanned PDF files. That makes them very difficult to edit. 3) When editing a pdf, sometimes the highlighting areas can be skewed. It isn't 100% accurate on where the test is and will jump around a bit. Also, it will jump out of place on the checklist as well. 4) The support for questions is a little outdated online. When you have a question about functionality the community FAQ's are for older versions. If you are looking for PDF viewer software then you can go for it. This Application has been using actively for PDF related work. "very good software for viewing and editing pdf files"
easy to visualize. Adobe Acrobat Reader is frequently pre-installed on your computer and is completely free; PDF files occupy very little space on the hard drive because it supports a variety of image compression algorithms. the user can customize the security settings, for example, prohibit printing or editing. The format allows electronic forms to be used to determine the authenticity of the document. It is very good software to work professionally and personally, supports multiple file formats and offers many security tools and protection of our information and limit the manipulation of information. "One of the commonly used PDF reader.."
Adobe Reader is a good application software. First I want to tell about it's perfect working. It is a web service which developed to view, create, print and manage files in portable document format that is in PDF format. My company and many other companies using this tool and it is thus very useful dor us to create our documents in a perfect and orderly manner. The basic Acrobat Reader available for several desktop and mobile platforms is with free. It thus supports viewing printiong and annotating of PDF files. It is very good to use and easy to create PDF files. It helps for texts, embedding graphics, signature etc. So, for many companies that I know who were using this Adobe reader for their daily purposes. In acrobat reader , I fail to undo the wrong items because there is no option for undo the items, so I supposed to delete those items instead of doing and also i found that there is no comment feture in this adobe acrobat reader so they want to improve that accordingly through their next updation. I like this PDF reader. I prefer to others also about this for PDF reader,. Personally I liked it.. I am using Adobe Reader for PDF management. 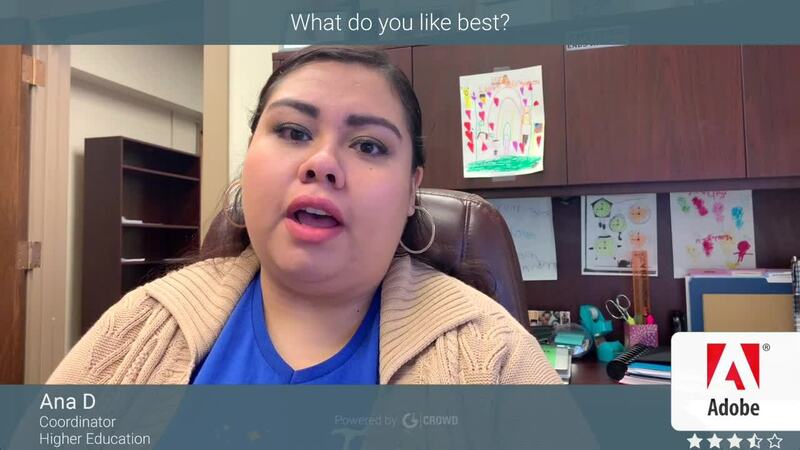 "So Much More to Offer Than Expected"
Acrobat has many features that I use constantly, but my favorite has to be the ability to combine files into a single document and create a link to share with my clients. It has really streamlined our process that used to involve numerous emails or having to find the files on our server to upload everything to a sharable service another way. Acrobat can do a lot, but I've definitely had issues with it crashing during important processes without being able to save. I also would like to see added functionality in PDF editing. *Streets ahead* of the default software your computer comes with for managing PDFs. Preflighting ads with our print settings and sending them back to our clients for approval used to be a much bigger hassle. Now we have a clear process through Acrobat for approval on any of our projects, with advertising and general publishing. 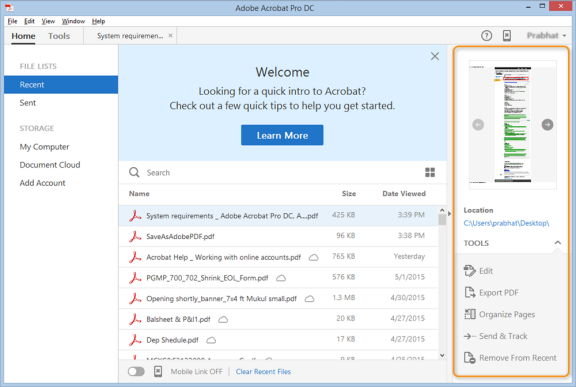 "Adobe Acrobat is a great product that has a lot of built-in functionality for PDF's." Adobe Acrobat allows me to review, edit, combine, or change the page order of PDF's. The is a weekly need and makes tasks quicker and smoother when handling PDF's. There are a couple small functions that they made a bit more of a manual process. If I select to combine files, I can drag and drop the files to turn them into PDF's or turn multiple files into PDF's. If I select that I want to convert a file, however, I have to find the file in a pop-up browser. It seems they could have just kept the drag and drop functionality across the features. This product is best acquired as a part of Adobe Creative Cloud, unless it's the only product needed. The pricing around Adobe CC is amazing and the host of apps just keeps getting better. I handle many print and digital products, and Acrobat allows me to work with the pre-printed files easily, as well as add supplemental content easily before sending to print. "convierte todo tipo de documento con acrobat DC"
Lo que no me gusta es que este programa se deriva e la corporación de Adobe System y todo el tiempo se están actualizando nuevas versiones y creando derivados de este mismo producto en vez de actualizar este mismo software y dejándolo a la actualidad del cliente. Recomiendo Adobe Acrobat DC como un convertidor de documentos que trabaja como herramienta profesional. es un programa gratuita y te servira para los procesos de formato PDF. problemas de todo tipo ya que es un convertidor que no me genera gastos, es decir no tengo que pagar por el y puedo descargarlo fácilmente. por otro lado optimiza mi proceso de cambios de formato de cualquier documento ( WORK, EXCEL O POWERPOINT). Ademas es de fácil manejo que puedo utilizarlo desde cualquier sitio donde me encuentre y administrar dichos documentos. "Great Product with one or two downsides"
Adobe Acrobat DC is very useful for those of us such as Real Estate Agents that utilize a great deal of PDF documents in our daily use. Some notable features that make my daily life easier are: 1. PDF cloud storage 2. fill and sign, and then a secure version of fill and sign as well. 3. Easy PDF organization and augmentation. 4. Being able to sign in and out of your account to access the product elsewhere in a jam is handy as well. The product comes with a mac, PC, and mobile applications so it is usable on pretty much any hardware. Limited Licensing. With my iphone and my laptop, I use my two installs right away and I am constantly working with multiple gadgets and computers. Being forced to sign in after only 2 installs is a pain and a major downside to this otherwise strong platform. I wish Adobe would allow us small business single license users a bit more latitude with the software before requiring tons of sign in problems. I need an easy way to augment PDF's and access pdf's across platforms and hardware as a real estate agent. "Creation of professional documents in PDF, with Adobe Acrobat DC"
Adobe Acrobat DC, I love it, it is one of those office tools, that you cannot miss on your computer, we always have the need to edit, or create some type of PDF coupon, for the ease of use that these types of documents have, with Acrobat Dc, this can be done easily, starting from files, in other formats, texts, images, or simply creating a pdf file of 0, another thing that I like, is that I can protect my documents, to prevent the content do not want it to be spread on the web freely, this protected. There are many tools in this software to be complete, and I speak very seriously when I say that, there are no tools for the modification of images within acrobat DC, I do not speak of advanced editions, but I would love it if I had some tool, to give certain types of retouching to any photos or images, which are usually used when creating these documents, and this feature is very limited, you just place it and, to make simple additions, like cutouts or frames, you must edit in another application, and later attach it, I also think that you can improve a lot, the text editor is very limited. I recommend this tool, for anyone, who wants to digitize, any type of document. Thanks to this tool, I can digitize many old books and documents, which were almost to be lost and discarded, in PDF you can create files, safe and easily accessible for all, save this story and make it digital, it is something that with adobe can do, and avoid losing, in addition, as personal use, I create PDF documents from some photographs that I make, creating a content that will last over time. "It's an easy-to-use document viewer"
We use the "fill and sign" tool quite a bit to sign contracts and PDF documents with the state government. It works well and is a quick and secure way to digitally sign PDF documents. The edit PDF function also comes in handy. When people send us PDF documents that are not formatted correctly or we just want to make minor changes, it is easy to fix the files. The "read out loud" function is handy for our clients with disabilities, especially those with low vision. Many people who have screen readers do not know how to use their software, but the PDF software is easy to use. Too many software updates. It's annoying to have to update and reboot the computer. Also, the accessibility features should be standard with the software, rather than an extra cost. Having people with disabilities being able to use your software shouldn't cost anything. Other than that, I can't say there is anything I dislike. It opens PDF files quickly and does not slow down the computer. Download it and try it. See if it works for you and your organization. It has been very useful for us when we need to digitally sign documents for the state. It met our need to view PDF files and digitally sign PDF documents. It is easy for us to create new digital signatures for new staff, when we need to validate PDF documents with the state. We have also used the editing feature to make some accessibility updates to PDF documents. It is one of the best tool, very useful and easy to use with a friendly menu that anyone with little knowledge of the tool can use in order to protect the information presented in the company so that no type of modification is made without authorization. . From the creator of the information source. I have been using Acrobat for over a year and have yet to find anything I disIike. I would like to be able to change the highlighter color. But honestly...this really is a top notch tool. Adobe Acrobate DC is a no brainer. It's simple to use and has all the tools needed to manipulate your pdf's. I honesly don't know what I would do without it. With Adobe Acrobat DC, we are able to update our client contracts and combine new documents...and we are able to do it quickly. It makes my life so much easier. I couldn't imagine not having it. 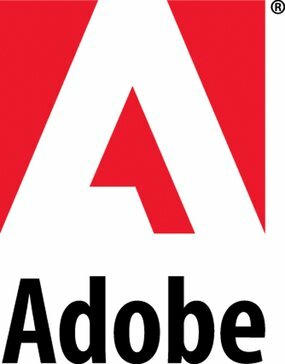 "Free, effective and in continuous improvement"
Adobe Acrobat Reader is a very useful and important software for my company and the work I do regularly. It allows me to display messages and images in PDF format, a standout among the most used organizations worldwide. This product changes impeccably to my pace of work, PDF documents are minimal, do not involve much space on the PC, are easy to read and can be protected so that other people outside my work environment do not duplicate or take control of information. The software has the option of adding security to the records, can make it difficult to duplicate the pdf content and can confirm the report. These days, most files and documents are shared in PDF formats, which is easier to share, especially through email. As an online tutor and teacher by profession, I have a large amount of PDF study materials that are used daily. The custom Zoom level option helps to see the document in the actual size preferred by the user. The custom page number option helps you write the page number and go directly to that particular page. The Save cloud in Adobe Document is much more useful, since it helps to save the document in a unit and allows the use to access it from any device that uses the login ID and password (as in Google Drive, but only PDF files can be loaded in this cloud). The text search option helps you directly search for that particular sentence or word we are looking for. The high light text option helps quickly mark important points in a document. The Add Sticky Note option allows the user to add a note as they read the document, the time and date of the note are automatically published along with the note. The user can also add answers or answers to this note when necessary. In general, this software is very easy to use and without complications. There are few negative aspects that I have achieved in several years of using this software, the first would be its price as I consider that the amount to pay for the paid version is very high compared to other similar software, the second criticism would be that open PDF documents too large the program runs very slowly, in this case I happened to open documents of more than 800 pages, with smaller files works perfectly (free version). For about five years I have used Adobe Reader in its free version and it really works very well, I can read the PDF documents from my phone, computer or Tablet without problems. I would like the editing option to be included in the free version, although for the most basic functions it works better than the other software, its interface is stable and easy to understand, with each update it improves its functions and has allowed me to send documents and files with good quality and professional appearance. Its interface is consistent with the rest of the Adobe programs, although it is even easier to understand and use, this program not only allows you to read PDF files but also to sign, write and prints them. Among its best features is the price, since there is a completely free version that gives many elementary functions to users although if you want to perform some more complex actions may be necessary to purchase the paid version, you can even edit documents in collaboration with its latest updates, which places this program at an advantage compared to similar ones. Another notable improvement is that you can print several files at the same time, a function that undoubtedly optimizes the users' time savings. The clean, streamlined aesthetic compared to both Adobe Acrobat Pro and Preview. I have made Adobe Acrobat DC my default because of its ability to open multiple tabs at one time and toggle through them. I own a Mac and that's not something that Preview (the default pdf reader) does. One thing I dislike it that for some articles it opens up the bookmark and index of contents on the side and for others it does not. Also, the left hand side is default opened with a column of additional functions that Adobe Acrobat DC is capable of. My version of the product does not include many of those, which means it's not very useful to me. You must collapse the tab to get a fuller screen picture of your PDF. Is more streamlined and easier to work with than Adobe Acrobat Pro. Although it lacks some of the capabilities of Pro, it is more than enough for what I need to use it for on a daily basis for research purposes. It is also far and above Preview (the default Mac pdf reader). As a researcher and consultant, Adobe Acrobat DC allows me to efficiently manage my PDFs on a daily basis. There is a lot of benefit to being able to easily highlight, note, and toggle through multiple articles at a single time and it solved some of the efficiency issues we were having with other PDF and reference management systems. "A Powerful PDF Editing Tool"
Our organization used to only provide us with Adobe Acrobat Reader. However, this was based on the assumption that when I have a document to fill out, I like printing the document, walking across the building to get it, filling it out, signing it, and walking back across the building to mail it, better than I like getting off work at a reasonable hour. With the advent of Adobe Acrobat, I can now save those two arduous trips across the building, and do what would have usually taken 20 minutes (adding in a little time for building small talk with colleagues I'd run into in the hallways) in less than 2 minutes. That means the time I would have spent slogging through hallways to retrieve paper can now be spent on my bike, breathing in fresh air, listening to Migos and smiling. This is a plus in my world. Because the program wields the power of a sledgehammer, it can feel like it sometimes, in terms of it's resource dependence. It's not awful by any means, but it doesn't feel as light as something like a Google Docs. And rightfully so, because Google Docs can't edit a PDF like Acrobat can. So, in terms of metaphors, Acrobat is a super ergonomic sledgehammer. If you know how to swing it, and you've got the strength to do so, it's super valuable, and you can knock stuff out in a hurry. It's a great value for a product, as long as you can implement adoption with users. Wasted time printing, filling, sending and scanning would be number one. Papers shuffling left and right, from one box to another, some of them getting overlooked, some getting lost, would be another. Not having to go walking through the halls and run into people I don't want to talk to, because now I can get work done from my desk, or better yet not my desk, would be another. "Acrobat is useful for quickly opening PDF documents, yet very clunky for many other tasks." I like that it is relatively easy to start up the software, and that the basic features of zooming and panning operate smoothly even within PDF's with heavy vector graphics. It also very easy to modify PDFs in terms of adding or subtracting pages from the PDF or combining multiple PDFs. I think that the software is very cumbersome to use especially for providing comments to the PDFs. The process is computationally intensive and slow to even open up the commenting panels, and then the tools themselves are not user friendly. For example, it is frustrating to try to drag or move a comment bubble. For manipulation and commenting of PDF documents, there is much better software such as Bluebeam Revu. 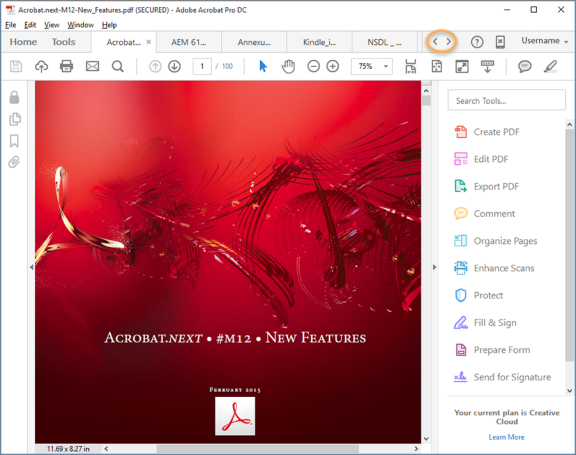 For light modifications of PDFs, Acrobat is worth a consideration for purchase, yet it is very limited in its capabilities to help you graphically edit PDF documents. For heavy duty use and commenting, other software would be recommended. In the architecture industry for example, Bluebeam Revu would be a much better alternative and completely make up for Acrobat's limitations. We use Acrobat to open and rearrange the page order of large drawing sets or to combine multiple files. Primarily Acrobat has been useful in this manner from the production side. Acrobat has also been helpful in providing full screen presentations to clients. "El mejor programa para leer PDF's diariamente"
Utilizo Adobe DC diariamente, y me encanta la rapidez y fluidez con la que abre los documentos. La interfaz es sencilla pero muy intuitiva y fácil de usar, prácticamente no tienes que saber mucho para utilizar el programa. Puedes editar los PDF's de la manera que quieras, agregar notas extra, subrayar textos y multitud de herramientas más. No tengo quejas respecto a Adobe DC, aunque a veces he tenido algún que otro problema a la hora de compatibilidades de tipografías, aunque eso no es culpa del programa realmente, porque son tipografías muy rebuscadas. Lo recomiendo para cualquier usuario que necesie leer algo limpiamente y en buena calidad, además de tener una estupenda compatibilidad de documentos. Por supuesto tiene multitud de funciones extra que hacen más fácil tu día a día. Yo lo utilizo tanto en el trabajo como en casa y es un gusto poder leer todo a la perfección sin que pierda calidad, tenerlo todo ordenado y poder redactar notas que me ayudan a tener todo bajo control a la hora de hacer una buena redacción o buscar una cosa en concreto. "El lector de PDF's que no te falla"
Estoy muy satisfecho con Adobe DC, es muy sencillo de utilizar, tanto como leer cualquier documento de forma ordenada y visual, como para editar o firmarlos. Funciona rápida y eficientemente. Me encanta poder encontrar cualquier página con el buscador y marcar lo que me interesa. Llevo utilizándolo muchos años y no he tenido ningún problema. No tengo quejas respecto al programa en sí, quizás vendría bien que le añadieran algunas opciones extra para personalizar más los documentos, y optimizar un poco más el programa, ya que a veces me va un poco lento cuando el ordenador va sobrecargado. Recomiendo pagar la licencia de este programa para cualquier compañía, ya que me parece un programa imprescindible en cualquier empresa que necesite un lector eficiente y sencillo de utilizar para cualquier usuario. Yo y la mayoría de usuarios de nuestra empresa lo utilizamos diariamente, ya que facilita mucho las tarea diarias como son recopilar información específica, editar textos, imprimirlos, leerlos con facilidad etc. Viene muy bien para hacer esquemas de información que necesito para redactar mis entradas, ya que la información es muy visual y ordenada, y si necesito encontrar algo lo hago rápidamente. "Ideal para gestionar los documentos de tu oficina"
Pese a que todos los navegadores hoy en día soportan la lectura de un documento PDF, la suite de Adobe es la única que unifica tantas utilidades en un solo programa. Con Adobe Acrobat DC puedo no sólo leer, sino también editar todos los tipos de contenido PDF, incluyendo multimedia y formularios. Como también ofrece su propio servicio en la nube te garantiza acceso a tus archivos desde cualquier parte, sea un equipo fijo o móvil. Además ofrece paquetes premium con muchas más funcionalidades. Aunque los paquetes premium no son demasiado caros, preferiría que fuesen de pago único en lugar de suscripción. No creo que pueda quejarme de nada más, ya que en nuestra oficina cumple perfectamente, y las funciones más necesarias son gratuitas. Sólo puedo recomendar que lo instales y lo pruebes, ya que la versión normal es gratuita, y verás que es mucho más eficiente que cualquier navegador a la hora de interactuar con documentos PDF. Si tienes un negocio, echa un vistazo a los paquetes premium, son muy útiles. Gracias al uno de los paquetes premium (Adobe Sign) podemos trabajar con firmas electrónicas sin ninguna dificultad, lo que nos ahorra mucha burocracia, así como también nos ahorra la necesidad de imprimir mucho papel, lo que se traduce en sostenibilidad medioambiental. Por supuesto esto es sólo uno de los problemas que nos soluciona, ya que lo utilizamos prácticamente para todos los documentos y es útil siempre. "Tool with multiple features for PDF files"
Excellent reader of PDF files, has a great interface that is fluid in almost any computer, also has tools to edit and transform PDF files, one of the things that I like about this software is the possibility of being able to easily search some text and be able to highlight it, plus I can add security to my files very easily. All the additional tools, besides the file reader, have a cost, besides being able to save my files in Internet and be able to share them, you must register in Adobe to obtain an ID. Keep in mind that to obtain all its features it is necessary to obtain some of its premium plans, however, it is not very expensive for all the features it offers. In my work, it is a very useful tool since I use it to transform important files to PDF and be able to share them with my colleagues, besides it keeps me organized. "Good for work, collaborating, presentation PDFs"
I really like using Adobe Acrobat DC for my job as a graphic designer. Especially when it comes to creating PDFs or editing them for presentation. Editing documents and PDFs is super easy. Also being able to access documents on any device is pretty useful and convenient. It’s hard to find much of anything to dislike about this program. I really can only point to the pricing and having to pay per month to use the software, it’s kind of a drag. However, have fun trying to find anything even remotely as useful, productive and easy to use as Adobe Acrobat DC. It's worth the expense! Great value and you'll find nothing more convenient or easier to use for sharing and editing PDFs and documents with teams and clients. Productivity has been boosted and it’s easier to collaborate on projects with the Cloud and CC real-time sharing capabilities. Without Adobe Acrobat DC we would be wasting time trying to share, review and collaboratively edit documents the old fashioned way. "The best app for PDFs"
As a Graphic Designer that uses Adobe Creative Suite, I love having Adobe Acrobat DC because I can prepare files for print, check the inks and convert files, split a PDF, Edit an Interactive PDF, use it as a live document to get signatures online, and quickly make changes to a PDF that would take a long time to do in the programs. Adobe Acrobat DC does have a steep learning curve and does not maintain all of the interactive fields that were set in InDesign. It needs to improve on tagging and making the PDFs more accessible to people with disabilities. This is a great program that comes with your Adobe Creative Suite account. No need to use any other program. Make sure to watch tutorials to get the hang of it. Print Production, Interactive PDF's and Forms, document editing, document signing, and entry of data is what I mainly use the program for. It is very efficient at solving a lot of simple issues nd tasks. 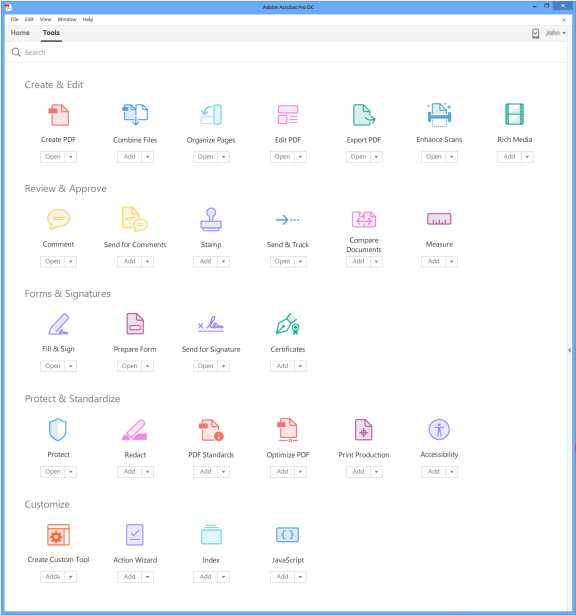 "Acrobat DC always works but it can be overly complex"
For viewing, printing, form filling and converting documents to and from PDF, Acrobat DC is terrific. It's easy to use and it's always consistent with color and layout. Using Acrobat DC to create new forms, edit existing forms or documents, and other editing needs often prove to be overly complex and difficult. The multitude of tools and options can be daunting unless you use the functions daily. If you're like most and only need to edit a document now and then, trying to find the correct tool to perform the needed function, let alone actually get it to work as expected, is anything but straightforward or consistent. If you need a full function PDF editor, Acrobat DC is a great choice. If you only need the ability to view PDFs, print to PDF format or fill in PDF forms, Adobe Reader DC works great. If you only need the ability to view or print to the PDF format, Windows 10 and other OS platforms now have most of that functionality built-in, not to mention most modern web browsers and the Microsoft Office suite. We use Adobe Acrobat DC anytime we need to edit a PDF document or existing form. We also use it to convert Word forms into fillable PDFs. The Word form to PDF form conversion is usually accurate, saving us sometimes hours of work we'd otherwise have to do manually. The ease of editing small things, like text and font issues is one of my favorite aspects of the program. I have not yet used it to its fullest extent so I cannot comment on other aspects of the app but I do enjoy using it for text changes and font/style issues. Their customer support is also amazing and I fully recommend reaching out to them or just do a google search and find a good article on similar questions you may have. The Adobe help community is a great resource! It can be complex when doing larger projects. As mentioned above, I haven't used the program for larger and complex projects but it may have a bigger learning curve. I have not tried similar products, but Adobe Acrobat has a small learning curve if you're just trying to master a few things. I have not used it to its fullest extent but I know the support crew is very helpful. In combination with Adobe products, their support makes the product invaluable. When clients ask for change of fonts, I like that I can quickly do it in Acrobat instead of having to edit the original document. "Read, edit and give security to your PDF files"
I can transform my documents to PDF and edit them very easily, it also allows me to highlight the text and make notes, its interface is very good and easy to use, one of the features that I like and that I consider very important is the Sign and protect my files important since I prevent them from being edited. In some cases, I have had problems of incompatibility with some versions of Windows operating systems, and I must say that if I do not have an Adobe ID I can not use many of its functions. It is worth obtaining this software, since it offers endless options and tools that are very useful to handle PDF files. In some cases, I have had problems of incompatibility with some versions of Windows operating systems, and I must say that if I do not have an Adobe ID I can not use many of its functions and features. "The only solution for creating high-quality PDFs"
I really love that I can take something I've laid out in photoshop and import it into Adobe Acrobat DC. I can create an entire layout, or even just elements of a final design, and wind up with a high-quality PDF suitable for printing. Another favorite thing is the fillable form fields and clickable areas! It's amazing what you can create for clients, customers, or your team with all the tools inside. It's feature-packed and simply amazing. It does take a little getting used to, and some features and tools take more work than may be necessary (like you can't copy and paste a form text box and have it not assume that filling one should fill them all the same way - you have to create individual ones), and the formats for saving were a little confusing at first. It's a definite "get it" from me - There's little else to say if you're looking for a great solution to creating beautiful PDFs! Either for printing or for online form fills, it's absolutely everything we need. Bonus - you can import the documents into other programs on your iPad or tablet and write on them, fill them out, whatever you need. I can create workbooks as products to sell or give away to accompany other products. It's increased our value and revenue! "Excellent PDF document reader with integrated tools." Besides being able to read my PDF files, I can protect them so that they are not edited, I also like the annotation system, since it is very useful when I review the documents. Adobe Acrobat DC offers me the possibility to connect with cloud storage platforms. What helps me save my work and be able to share it more easily with my colleagues. The free version is very limited in terms of options, since it forces you to buy them, also to be able to share files, it is necessary to have an Adobe ID. It is software that must be installed on your computer because it will provide excellent options that will help you in the office. It is a very necessary tool to read and edit PDF files, I use it daily to correct documents and make important annotations, I also use your mobile application to carry my documents wherever I go. "Todo en orden con este lector de PDF's"
Adobe Acrobat DC es un programa que utilizo diariamente, lo que más me gusta es poder tener todos los documentos organizados y leerlos cómodamente. Puedo hacer capturas y buscar fácilmente lo que necesito en ese momento, en general me permite leer y editar todo lo que necesito para documentarme bien como redactora. Estoy muy satisfecha en general con este lector de PDF's, aunque si tengo que ponerle una pega, es que la interfaz podría ser aún un poco más sencilla, ya que tiene opciones escondidas que si no sabes utilizar bien el programa, puede que no le saques todo el provecho necesario. Obviamente para leer cualquier pdf no van a tener ningún problema, pero recomiendo que si quieren sacar todo el rendimiento que Adobe Acrobat DC ofrece, aprendan a usar todas las funciones que éste ofrece, algunas son de pago, pero merce la pena. Lo utilizo diariamente para mi trabajo como redactora, me permite tener todos los documentos que necesito leer sobre leyes etc, en orden. Me facilita mucho el trabajo con la opción de búsqueda de palabras y es cómodo de leer porque puedes hacer el zoom que necesites sin que pierda calidad.